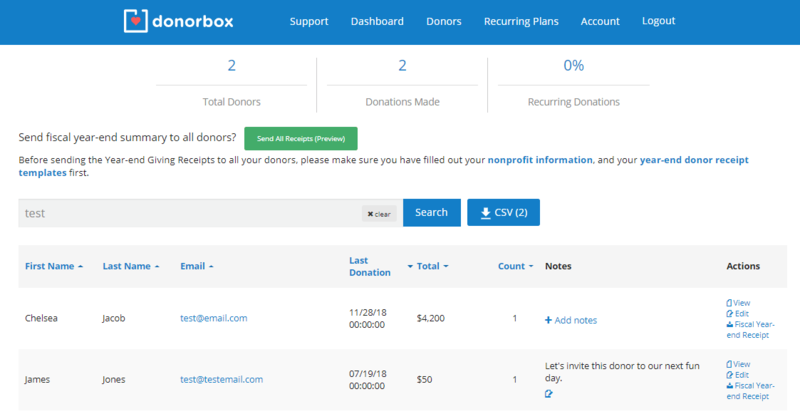 We recently added a new page to your Donorbox dashboard in order to make it easier for you to manage your donors! The “Donors” page groups all your donations into a comprehensive list of donor profiles that you can easily sort through based on a variety of factors, such as their name, the date of their last donation, or their donation count. You can also sort by total donation amount! You can also use the search bar located above the list of donors in order to easily find a specific donor by typing in their name or email address. 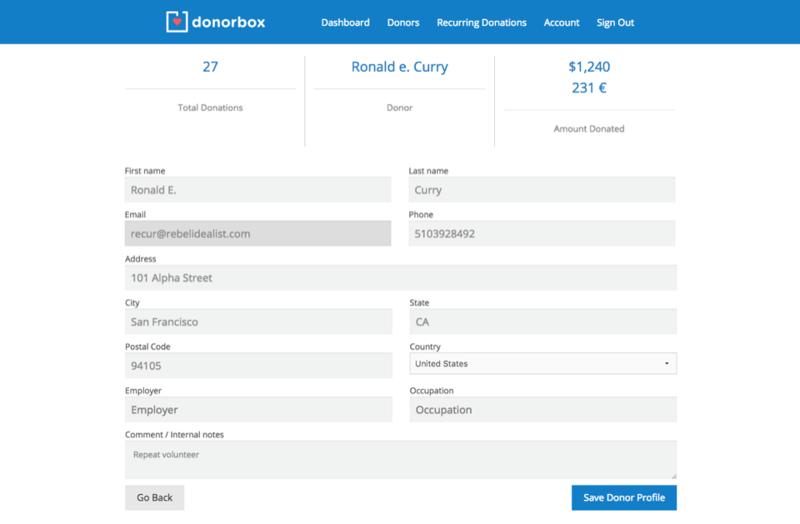 In addition, you can view each individual donor profile by clicking on the “View” button in the far-right column. This will bring you to a comprehensive donor profile with a summary of the donor’s contributions and amount donated, as well as a list of all of their donations. On the right, below the donor’s name and email address, you will also find their yearly total contributions, which can come in handy for tax reporting purposes. You can also edit a donor’s information by clicking the “Edit” button located below the “View” button. This will bring you to a profile with the donor’s basic information, such as their name, contact information, and employment details. Apart from the email address, you are able to manually edit any part of the donor’s information if so necessary, as well as add any comments that may help you better manage or remember your donor. 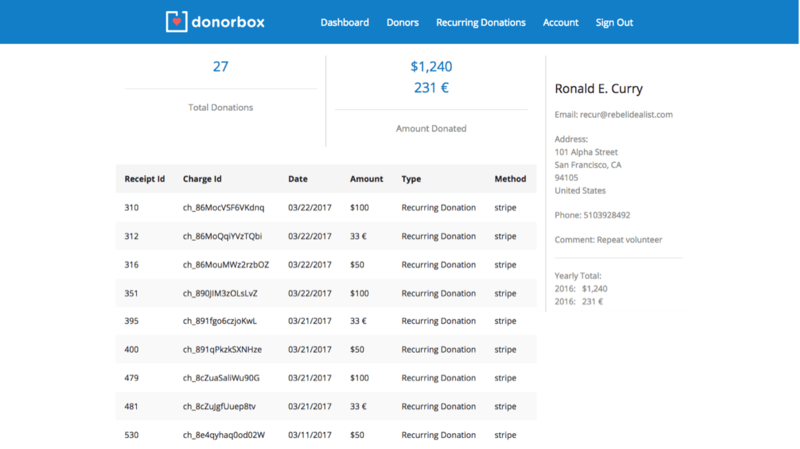 Think of this as a simplified CRM system accessible directly from your Donorbox dashboard!